HISTORY: MERIDIANA FLY S.p.A., operating as Meridiana, is a privately owned Italian airline headquartered in Olbia with its main base at Olbia Costa Smeralda Airport. The company was set up with the name Alisarda on 29 March 1963. Scheduled flights commenced in 1964. 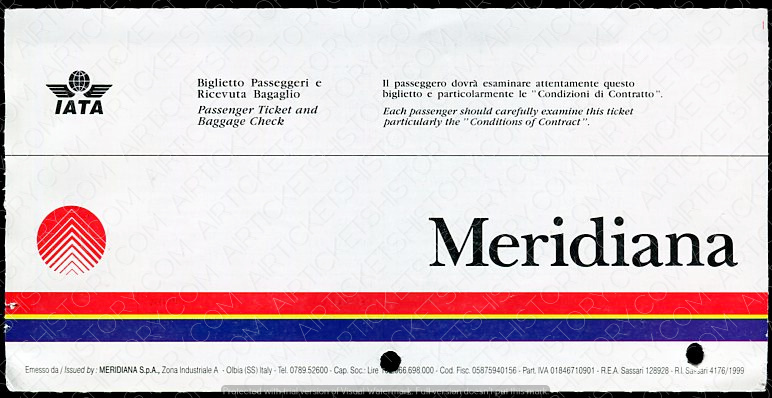 The name Meridiana was adopted on 3 May 1991.